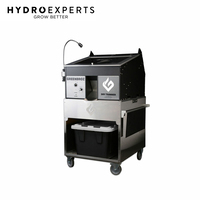 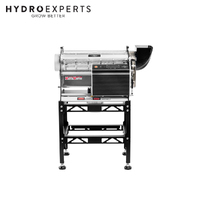 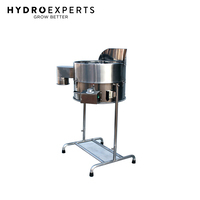 The 18" Commercial Electric Bud Trimmer consists of a sharp rotating blade that gently and precisely trims all excess leaves, stems and flowers. 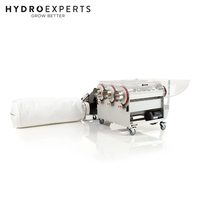 It is easy to use and produces amazing clean cut results. 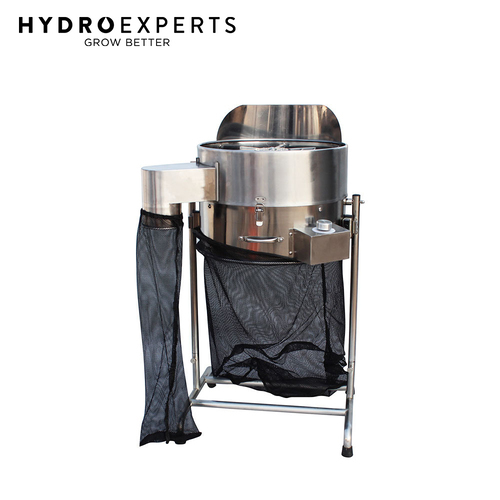 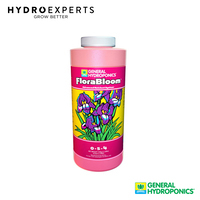 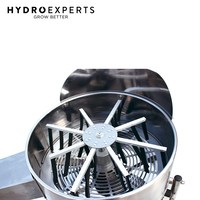 To operate the trimmer, simply add a bucket of flowers, buds, or plants to be processed to the upper "hopper". 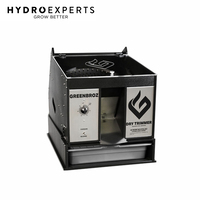 Turn both motor ON and it starts to trim any excess leaves, stems or protruding pieces from the plants. 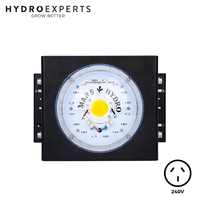 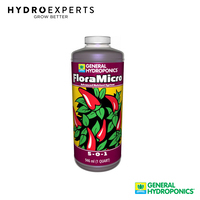 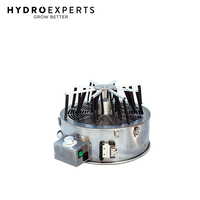 The top motor with Silicon fingers circular direction as it trims the plants, creating a natural rotation and fluffing of the plants. 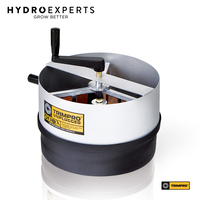 This movement provides a uniform trim all over the plants without having to physically move the plants by hand. 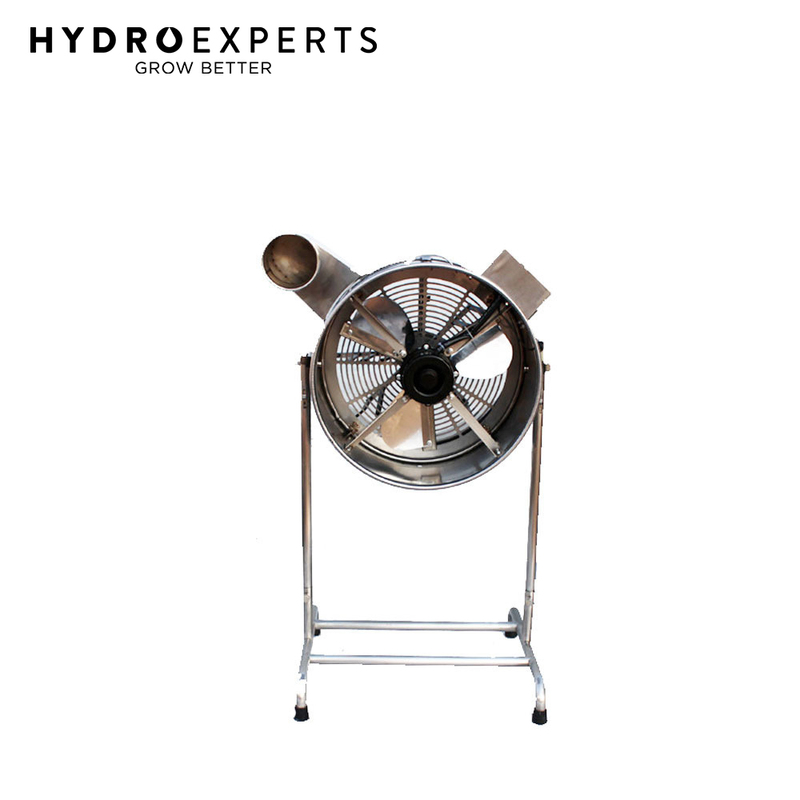 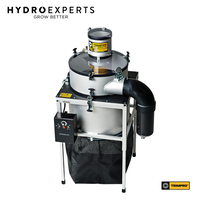 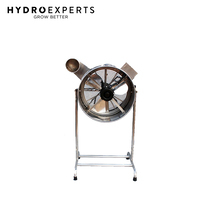 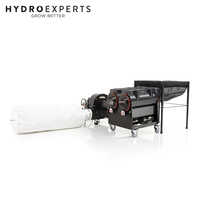 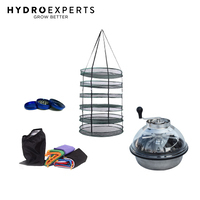 Once the plants are completely trimmed and clean the extraction port can be opened and the pieces will automatically be pushed out by the vortex action of the blade/fan. 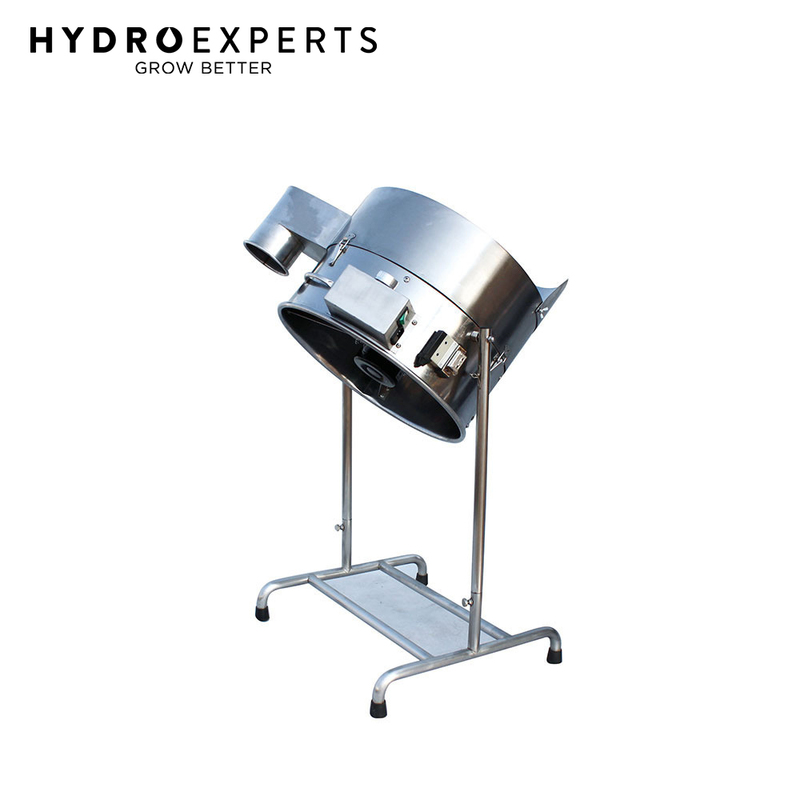 The finished product is the collected in an outgoing tube where it can be expelled into a container. 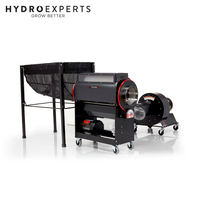 Hours of trimming work can be completed in just minutes with this amazing machine that has the ability to process plants non-stop. 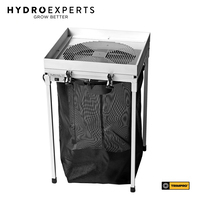 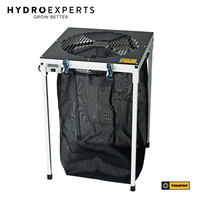 It features a corrosion resistant surface and a razor sharp tempered steel blade, making trimming, shaping and cutting plants fast and easy. 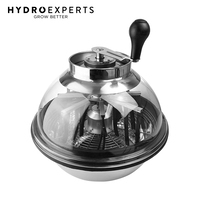 This is a great tool for anyone sick of using small scissors to endlessly trim and shape flowers, buds, herbs and spices. The Trimpro Automatik is also a great way to slice and dice herbs and spices to a fine material, making it indispensable for any serious flower, herb or spice grower. 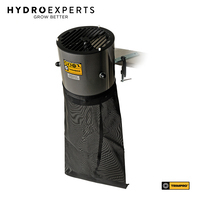 x Commercial Electric Bud Trimmer - 18"